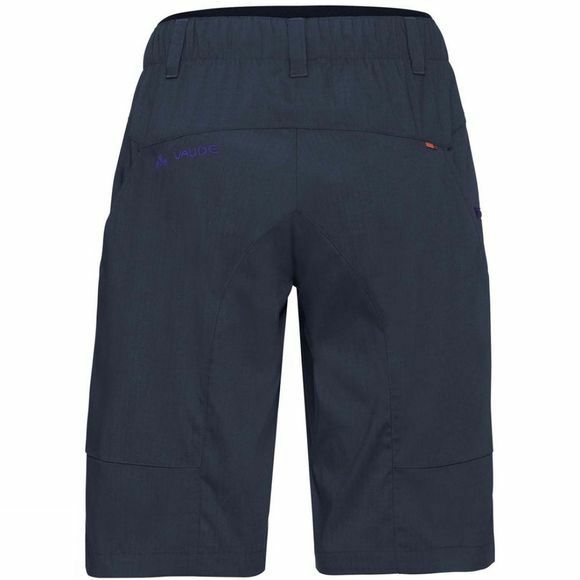 The Womens Krusa Shorts from Vaude are comfortable shorts made of stretchy, lightweight and robust materials are a reliable companion, whether for an afternoon ride or traveling the world by bike. An elasticized waistband makes sure they fit right, no matter what your biking position. 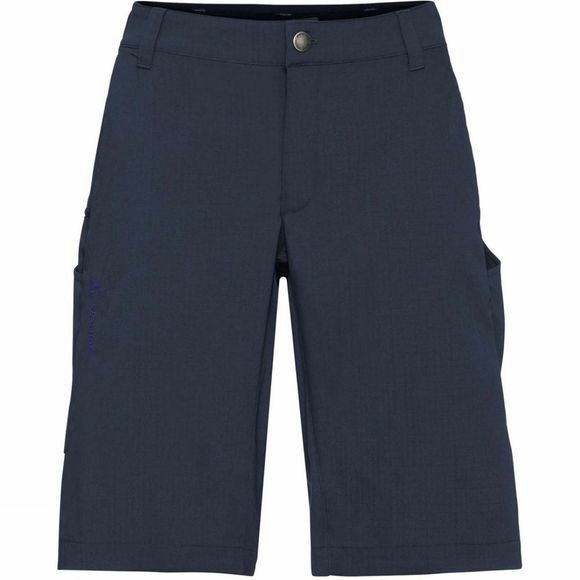 The easy-care and quick-drying fabric ensures reliable performance and includes UV protection. A pocket that extends over your thigh can be accessed while riding, while an inner pocket will keep your phone or valuables safe. Printed reflective elements ensure good visibility in traffic. This product is made with Eco Finish, an eco-friendly, fluorocarbon-free, water repellent finish (PFC-free). The Vaude Green Shape label stands for environmentally friendly, functional products made from sustainable materials.